Imagine competing at a worldwide sporting event where your talent is such that you not only win top honors but you also end up the talk of every town. Then suddenly, it’s all over. For some, it’s completely okay to head home, to retell stories of glory, show off your medals, and perhaps turn to coaching the next generation. But for others, there’s a yearning to stay in the public eye, often via movies and television roles. Let’s take a look at a handful of Olympians who rose above mere celebrity endorsements and Wheaties box covers to make a name for themselves in the movies as well. Over a half-century before Dorothy Hamill, Kristi Yamaguchi, and Tonya Harding, the world fell in love with Sonje Henie who won successive gold medals in the Olympics of 1928, 1932 and 1936. Like those who would follow, she soon toured with an ice show, but unlike her successors, she also headlined her fair share of films, some of them blockbusters: Thin Ice with Tyrone Power, Sun Valley Serenade with Dorothy Dandridge. Apparently not only did Henie have skating prowess, she also had comedic flair. Less funny but more iconic was Johnny Weissmuller, better known as the title character of Tarzan the Ape Man (1932) than he is as a record-breaking Olympic swimmer. But take note: in the 1920s, the man who made up the “Tarzan yell” won five Olympic golds in swimming and one in water polo. He was also the first to break the one-minute mark in the 100-meter freestyle and to swim the 440-yard freestyle in under five minutes. Yet what do we recall nowadays? His signature line: “Me Tarzan, you Jane”. He wasn’t the only Olympian “Tarzan” either. Following in his bare footsteps was Buster Crabbe, who took home the gold for the 400-meter freestyle swimming event before donning animal hide for a series of Tarzan movies starting in 1933. Hardly “just Tarzan,” Crabbe also played the titular roles of Flash Gordon and Buck Rogers in the 1930s and 1940s. So while Weissmuller may get all the glory for Tarzan, Crabbe didn’t make out too badly himself. You may be noticing a trend here: Tarzan! And there’s one more worth mentioning — specifically (Harold) Herman Brix, 1928’s shot put silver medalist who was originally cast in the Weissmuller movie but who broke his shoulder while shooting the now-forgotten football pic Touchdown (1931). Ultimately Brix did play the Edgar Rice Burroughs hero in The New Adventures of Tarzan, but then changed his nom de cinema to “Bruce Bennett” to avoid being typecast as “beefcake.” A whopping 75 subsequent movies prove that move worked. Field and track, like the pool, launched a few big screen careers, among them Rafer Johnson, who was a flag bearer for the US, lit the Olympic flame, and took home the gold medal in the decathlon. His movie career wasn’t extensive, but from 1961 to 1989, he did manage to costar with Elvis Presley (Wild in the Country), Frank Sinatra (None but the Brave), and Timothy Dalton (Licence to Kill). Rafer also created the California Special Olympics, a pretty remarkable feat in itself. 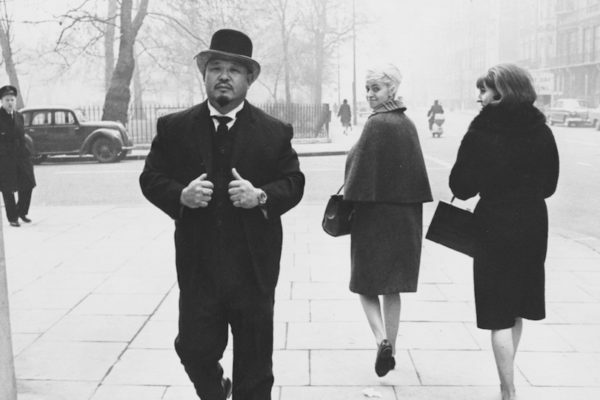 With all due respect to Rafer and Licence to Kill, weightlifter Harold Sakata bears the distinction of being one of the most memorable villains in the James Bond universe: the Bowler-hat-flinging “Oddjob” in Goldfinger. It was a role with which he became so identified, that he reprised the character in TV commercials for a cough syrup throughout the 1970s. Another strongman with big screen success (and perhaps plagued by typecasting) is Kurt Angle, the wrestling medalist who became a wrestling menace for the WWE, as well as an actor who specializes in playing “muscle” in movies like Warrior, Pain & Gain and Pro Wrestlers Vs. Zombies. So keep an eye on those heart-stopping Olympic performances: you may just be witnessing the birth of a future movie star! PS. 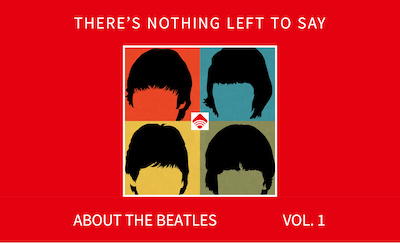 The Monkees turned to Hollywood to change their image, too. Plus, our list of movies about Tinseltown.